​We all know that living longer means living healthier. There are many ways to go about living healthier, but which ones should we focus on? Which ways are the most important? Some are very obvious and need no explanation. For instance, we all know that exercise, eating fruits and vegetables, and staying socially active, are commonly published ways to improve and extend our lives. In this article, I have focused on very simple yet powerful and often overlooked ways to increase the length of a person's lifespan. Families who own a dog or cat are less stressed and visit their doctors less often than those who don't, say scientists from Cambridge University. They say that pets can make you feel optimistic and relaxed, and this in turn lowers your blood pressure. According to studies, dogs give best results, but research has found that even a goldfish in a bowl works. Owning a dog encourages more physical activities as the owner will most likely play with the dog and take it for walks. It may also encourage social interactions with others who also own dogs. Dehydration is a problem for people throughout their lives. When a person becomes dehydrated, they are in danger. Drinking water throughout the day is good for you at any age, but especially needed as the body gets older. When toxins enter your body, kidneys work diligently to flush them out and they need water to do an efficient job. Drinking plenty of water will also curb your appetite, making it easier to maintain a healthy weight. Another added benefit of water is healthy skin. 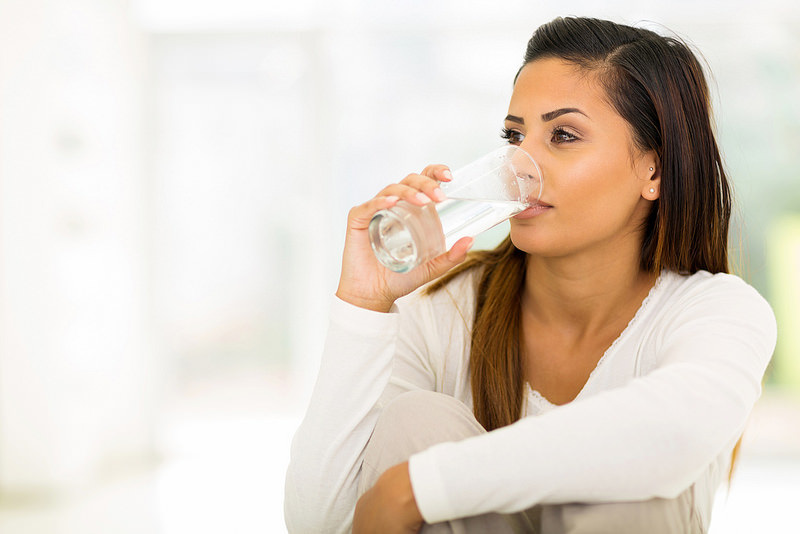 While drinking water will not erase signs of aging, it will definitely improve the skin's appearance. The quality of the air you breathe may be much more important than you think. Pollution and toxins can wreak havoc on the lungs and can even cause permanent damage, leading to serious and life-threatening illnesses. According to the NIH, COPD (Chronic Obstructive Pulmonary Disease) is a great concern. The NIH states that "Cigarette smoking is the leading cause of COPD. Most people who have COPD smoke or used to smoke. Long-term exposure to other lung irritants—such as air pollution, chemical fumes, or dust—also may contribute to COPD." Most people do not realize that COPD is the third leading cause of death in the United States. A few things we can do to prevent COPD is to obviously not smoke and avoid living in a home where smoking exists. If a loved one smokes and refuses to quit, request that they refrain from smoking inside the home, smoking outdoors and also not within the confines of a vehicle while you are the passenger. Stay away from polluted areas when job seeking. Try to use natural cleaning options to reduce the toxins in your home.